An icon of writing culture, the Montblanc Meisterstück is a gifting favourite among Montblanc products, a precious treasure passed down from one generation to another. As it is handed to the next generation so are the stories, ideas and memories that the writing instrument carries with it making it a powerful symbol of love, education and the lasting bonds that unite generations. 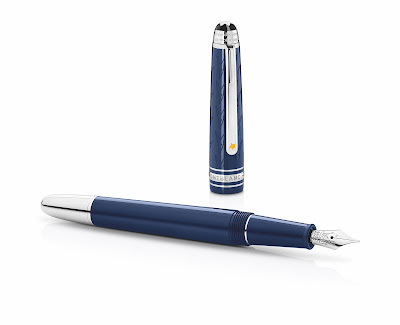 To celebrate the power of imagination and the importance of transmitting ideas and values to the ones we love, Montblanc is releasing a special edition Meisterstück inspired by the much-loved literary character of Antoine de Saint-Exupéry’s Le Petit Prince. One of the world’s most translated books with editions in more than 250 languages and dialects, the allegorical story about the chance encounter between a pilot and a little prince from a distant planet explores the universal themes of imagination, open-mindedness and the value of human relationships. With design elements based on Saint-Exupéry’s sensitive hand-drawn illustrations, the Meisterstück Le Petit Prince captures the book’s simple message that transmitting one’s dreams and values to others is what makes one’s life meaningful. Launching in April 2018, the first series of Meisterstück Le Petit Prince edition features the inspiring and tender characters of the young prince and the fox who enlightens him about the importance of close bonds and human relationships, revealing the core wisdom learned from his own life’s experiences. Subsequent editions will highlight other characters from Le Petit Prince and the powerful messages they carry including the aviator and the planet. 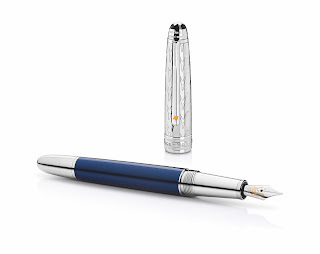 Meisterstück Le Petit Prince Doué Classique Edition pairs the deep blue colour of the lacquer barrel with the luminosity of a platinum-coated cap elegantly decorated with engravings of the fox pattern. The shiny surface of the platinum is repeated on the metal cone, cap and the pen clip adorned with the yellow star. Available as a Ballpoint Pen, a Roller Ball and a Fountain Pen with an 18K bi-colour nib embellished with the outline of the Little Prince and the fox. The fox pattern covers both the cap and barrel of the Meisterstück Le Petit Prince Solitaire, engraved on the deep blue lacquer. Contrasting with the blue, the fittings are crafted from platinum-coated metal. At the summit of the edition, the Montblanc emblem is encircled by the fox’s words about human bonds, taken from St Exupéry’s novel. To extend the Meisterstück Le Petit Prince writing experience, Montblanc has created special ink and refills inspired by the fox character in a dark orange colour reminiscent of the fox’s orange fur. A leather notebook completes the writing experience, bound in fine Saffiano leather featuring a fox scenery print on its cover inspired by the author’s illustrations. The story of Le Petit Prince has inspired a selection of Meisterstück Le Petit Prince men’s accessories including a pair of round stainless steel cufflinks with a deep blue lacquer and fox face design centre, a stainless steel and blue lacquer money clip and a contemporary men’s woven leather bracelet with a stainless steel clasp decorated with a yellow star. The Meisterstück Le Petit Prince edition brings together the heritage of a timeless gifting favourite and the cultural influence of a literary great. Filled with meaning and symbolism, the new special edition reaffirms Montblanc’s belief that writing is a gift, one that is passed from one generation to the other with a positive message, just like the ideas, dreams and thoughts that Le Petit Prince shares with the world around him.